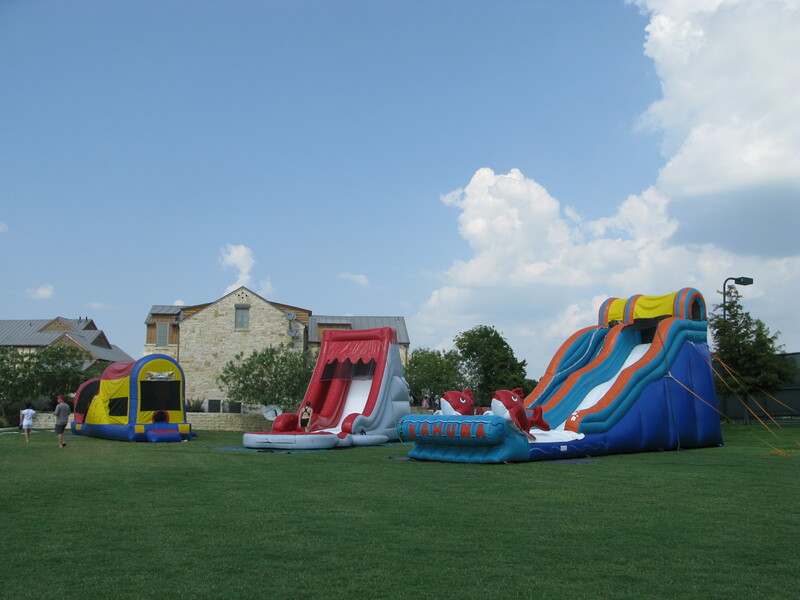 Jump City offers water slides for rent in Dallas. We have water slides of different sizes and styles: from medium slides for younger children to GIANT Water slides for older children. We dry our water slides after each rental to prevent mold. 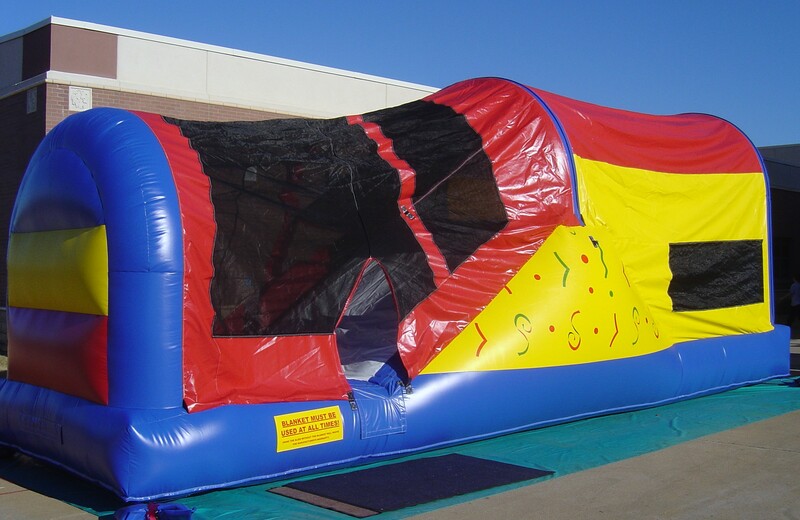 We can set up inflatable water slides on grass or concrete, some slope is Ok for water runoff. We do not supply garden hoses, so please have one ready. 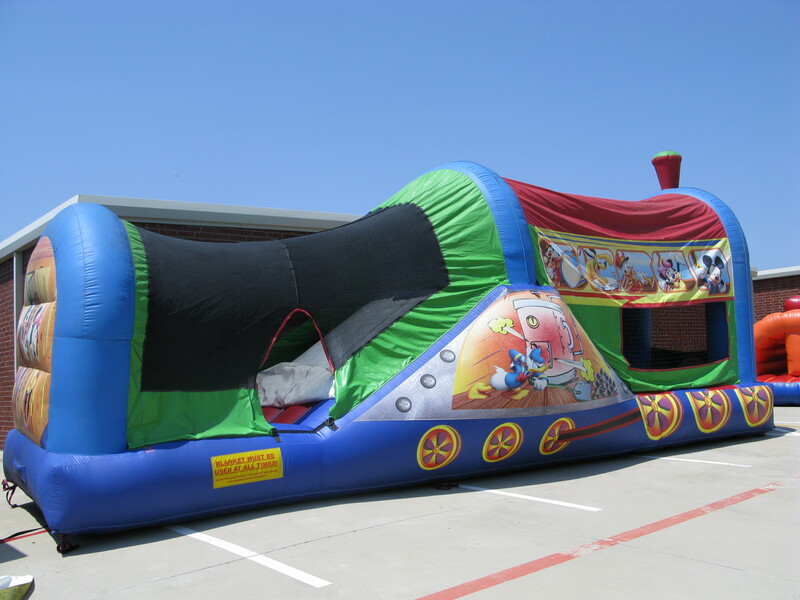 Our water slides are great for beating Texas heat, call for your Dallas Water slide rental today 972-899-0135. 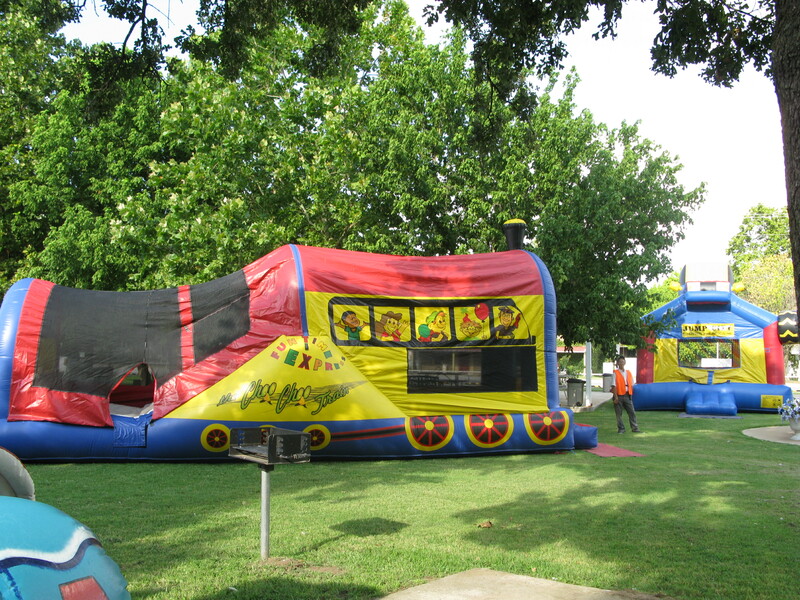 Water Slides are available for the entire day we do not rent our water slides buy the hour, we rent by the Day. Know where underground gas, plumbing and water lines are on your property. We recommend you call them to know for sure. 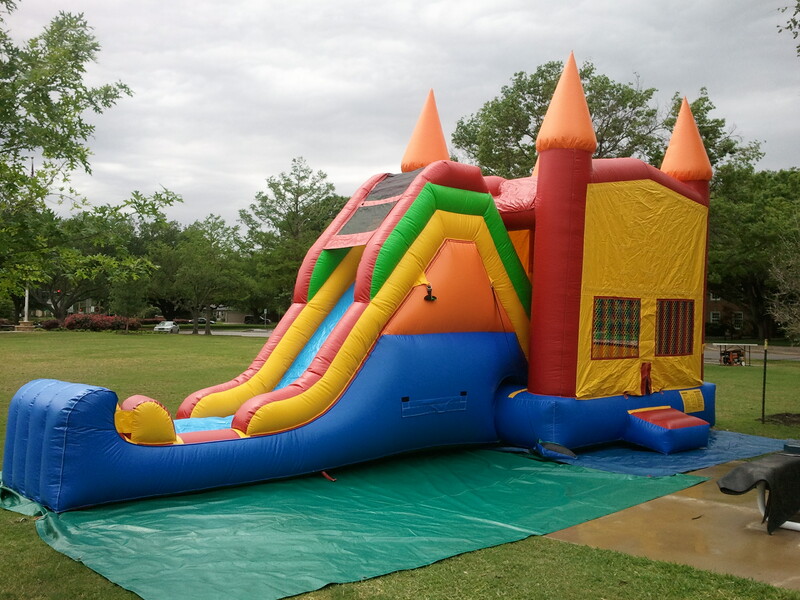 Water Slides need an electrical source, generators are available for an extra charge. Keep all unnecessary electric wires and cables away from the Water Slide. Plan a spot in a grassy area or hard, flat surface away from your house meters and pool. The area must be clear of all sticks, twigs, branches, toys, and animal related items. 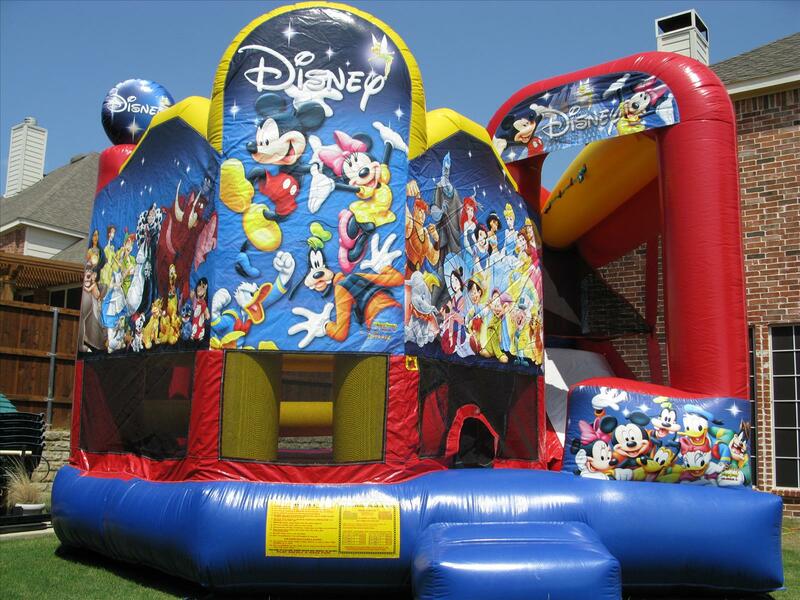 Be aware of the size of the moonwalk you are renting, add at least a foot or two all around and then plan where the Water slide unit will go. Some manufacturers recommend three to six feet of clearance all around the unit. Be sure there is overhead clearance too. Most units are very tall! 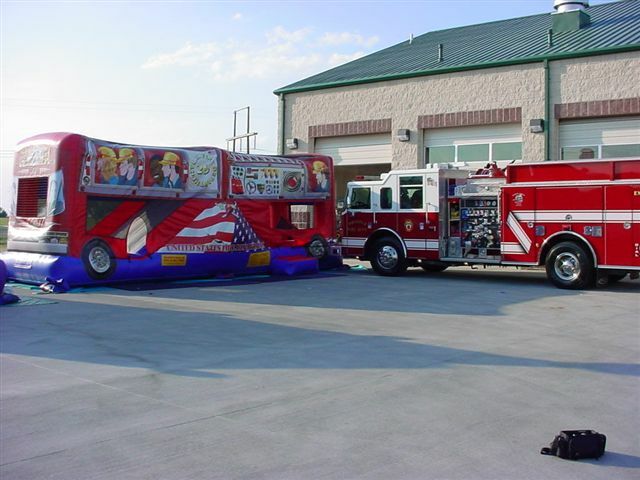 We need a minimum of 17' for all bounce houses, the combo units are as high / tall so be sure to have at least room for the Water slide rentals combo units..
Plan a food, drink and snack area a safe distance away from Water Slides. Keep all party toys such as 'silly string' and other toys away from Water Slides. 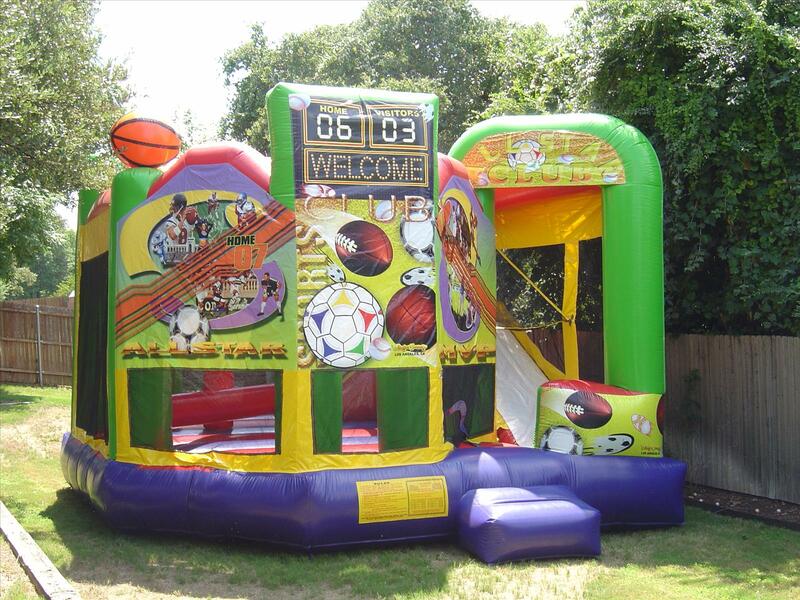 Silly String (and similar products) destroys the fabric, it is prohibited around Water Slides Inflatable units. Keep all pets away from Water Slides.